After Chris Pratt and Anna Faris divorced last July, Pratt has to share custody of his son with his ex-wife. Pratt who has been spending his off time at a farm has been enjoying farm life but said that he often misses his son. The 38-year-old also added that although he is missing his son, he is very grateful for what he has and sometimes feels overwhelmed with gratitude. 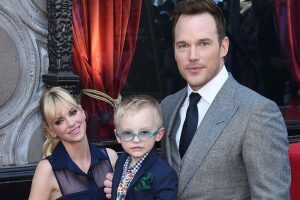 Pratt was married to Anna Faris for eight years, but the couple decided to call it quits, and Faris is now dating cinematographer Michael Barrett. The Guardians of the Galaxy Vol. 2 actor has taken a break from social media as he felt that it was not helping him at the time of the divorce. The actor said that the divorce was hard on everyone including his extended family and friends and he felt that social media was making the transition worse. Pratt however recently started posting images on Instagram, about farm life in his home country. The actor had recently posted pictures of scenery and an image of lamb chops that were from lambs grown on his farm. Although vegans commented about his photos and said that the images were “barbaric.”, He commented saying that the sheep on his farm where happy and free and he has no shame eating off the land. Pratt will be taking some time off work to get in touch with himself, before his starts his new projects.